This section provides solutions to the most common problems that occur when using the browser. If you don't find the solution to your issue in the list, send a message to our Support service using the Feedback form. If Yandex Browser doesn't start or you see the "The application has failed to start because its side-by-side configuration is incorrect" error, try installing the latest browser version. You can download the installation file from browser.yandex.com.tr. If you are using the beta version of Yandex Browser, download the file from browser.yandex.com.tr/beta. What happens when you try to open Yandex Browser (for example, you get an error message or the browser window doesn't open correctly). What happened before this issue started occurring (for example, did you update your browser or OS? did you install a program or extension?). How long you have been experiencing problems opening Yandex Browser. If possible, attach a screenshot. Try temporarily disabling all extensions, Turbo mode and Alice voice activation. Also clear your cache, history, and cookies. If this solves your problem, go through your extensions and turn them back on until you find the one that caused the problem. In Turbo mode, site pages aren't immediately downloaded to the user's computer. They are first sent to the Yandex server and compressed there. This usually speeds up the browser significantly. However, if the route from the Yandex server to the user's computer is very long, the page might take longer to load in the Turbo mode than without it. In the Turbo section, set the option to Off. If you couldn't fix the problem yourself, send a message to the Support service in the Feedback form. Describe the situation in as much detail as possible. Modern browsers use RAM actively. Full-featured apps have replaced static pages on the internet. Let's say you have a music player open on one tab, a YouTube video on another tab, and an online editor on a third. In order for you to switch between tabs quickly, your data has to be stored in RAM. Multiprocessor architecture. Each browser window is a separate process that requires additional memory. The multi-processor architecture improves stability: if one of the tabs fails, the other tabs are preserved and you will not lose your data. Pre-loading. The browser tries to figure out what link you may click, and loads the page data in advance. Large number of extensions. Extensions make browsing easier, but each of them requires RAM. On average, with several tabs open, Yandex Browser consumes from 300 to 1000 MB of RAM. If a page has complex Flash objects, the RAM utilization may grow to 1000 MB. Page pre-loading (click → Settings → Show advanced settings. In the Privacy section, clear the box labeled Request page data in advance in order to load pages more quickly. You don't need to worry if there are a lot of processes running. All browsers based on the Chromium engine work like this. Every browser window, as well as some extensions and plugins, is a separate process that won't affect other tabs and extensions in the event of a failure. What actions cause the browser to freeze? Add a link to the net-export log. You will need to take screenshots of this log (as explained in the instructions) and upload them to any cloud storage of your choice. If you have problems opening pages, include the error text in your message. Certain restrictions in your network can also obstruct site access. Those might be caused by software (antivirus programs, firewalls, or viruses), or network settings on the provider side (such as proxy servers). Check whether you can access the site on another computer from a different network to make sure that the site works. If the site fails on your computer only, we recommend contacting your system administrator or your provider's support. In the Permissions section, click cookie files for this site. To check whether extensions are blocking a page from displaying, open the site in Incognito mode. If the Incognito mode does not reproduce the problem, try to find an extension that blocks page loading. If the page has loaded, try going through your extensions one at a time to find the one that is blocking them. Clear your cache so that the browser doesn't load a copy of the page that was saved earlier. If a site opens in every browser other than Yandex Browser, send a message to our support staff using the feedback form. Describe the situation in detail, and attach a screenshot if possible. Press Windows + R or enter “Run” in the Windows search bar and select an application from the list. In the window that opens, enter cmd to launch the shell. Enter ipconfig/flushdns in the shell. If you see this error, it means the internet connection in the browser is set to use a proxy server. If your network doesn't use a proxy server, turn off this option. In the Network section, click Change proxy settings. In the window that opens, go to the Connections tab and click Network settings. In the window that opens, clear the option Use a proxy server for your LAN. A “Connection failure” error means that the browser could not retrieve a webpage. Try opening other sites in the browser. If you do not see the connection error, there was probably a failure on the side of the initial site, or the site's owner is running maintenance at the moment. Try going to the site again later. If the problem persists, contact the website's developers. Contact your internet provider and ask if there have been any network failures or if they are conducting maintenance work. Check the list of blocked resources in your antivirus (Windows firewall). If you locate the page in the list, delete it. Attention. Only delete a page if you are completely sure that it is safe, though. If the page contains malicious code, it can infect your computer or give hackers access to your personal information and electronic payments. Scan your computer using an antivirus or free utilities. Open the Windows shell. Press Windows + R or type “Run” in the search bar. In the window that opens, enter cmd using your keyboard. In the window that opens, click on the Connections tab and then click Network settings. Deselect the Use a proxy server for your LAN option. Webpages might display incorrectly. For example, garbled characters may display instead of letters or the page formatting may be broken. Try the following: refresh the page; delete your browser cache and cookies ; disable Turbo mode, utilities, and browser extensions that may be causing the problem. The most frequent reason for incorrect site display is using a proxy server or an additional firewall (in addition to the standard Windows firewall). Temporarily disable them to find out if they affect the display of site pages. We do not recommend using utilities that cause display errors. Delete your cache so that the browser doesn't load an incorrect copy of the page loaded earlier. Open the page with the formatting problems. Press F5 (on Windows) or ⌘ + Shift + R (on macOS). In the Turbo section, click Disable. Note. This is only a problem for Windows 10 users. Downloaded files no longer display in the downloads toolbar. The browser doesn’t respond when you try to use it for the first time after an update. However, the Enter key does work. When you press it, a Windows window opens and prompts you to select your default browser. In the System section, clear the Use hardware acceleration if possible option. Some extensions (such as ad blockers) restrict the display of page content, including videos and images. If images appeared, try going through your extensions one at a time to find the one that is blocking them. Clear your cache so that the browser doesn't load an incorrect copy of the page that was rendered earlier and contains blocked images. Enable image display: → Settings → Show advanced settings → Privacy → Content settings → Images. In this case, the SmartBox displays . In the Extensions section, select the Always allow on this site option for the site element. 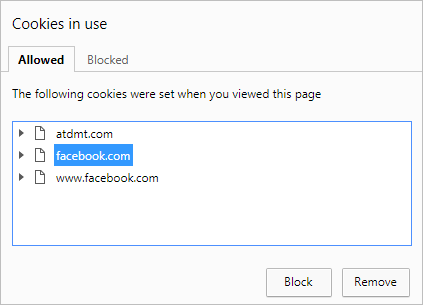 Click → Settings → Blocking of inappropriate ads → Blocked images. Click to the right of the image address. In the System section, disable the Optimize images to save memory option. In the SmartBox, enter browser://flags. Find the Force color profile option and change its value. Relaunch the browser and check the results. Open the section Folder options (in Windows 10, this section is called Explorer Parameters). On the View tab, clear the Hide extensions for registered file types option. Open the Certum CA certificate in Notepad and save it having removed the .txt extension to get the CA.pem file. Open the Certum Trusted Network CA certificate in Notepad and save it after removing the .txt extension to get the CTNCA.pem file. Open the Windows shell. Press Windows + R or type “Run” in the search bar. In the window that opens, enter certmgr.msc using your keyboard. Open the Trusted root certification authorities folder and then the Certificates folder. Click Action → All tasks → Import. The Certificate Import Wizard starts. Select the certificate and click Next. Make sure that the Certificate store field is set to Trusted root certification authorities. Click Next.